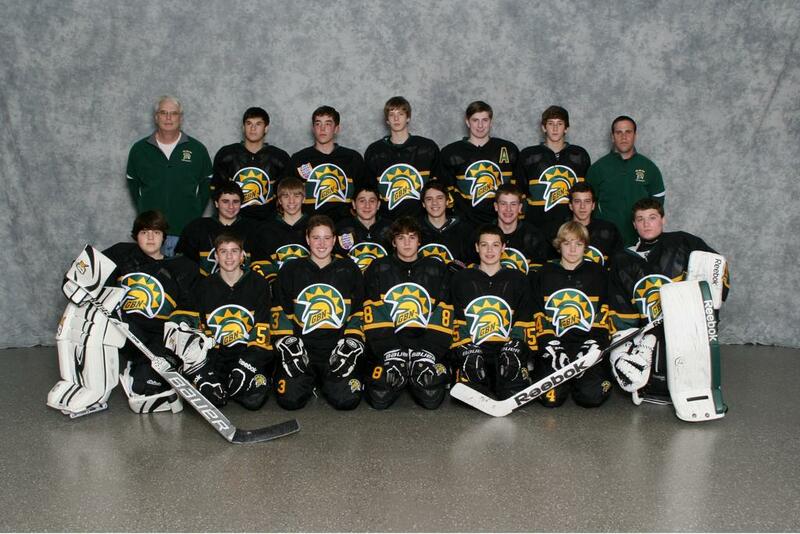 The Glenbrook North Junior Varsity Hockey team participated this past weekend in the 41st Annual Loyola Thanksgiving Tournament featuring 16 of the top teams in Illinois. The GBN team went 3-0 in the preliminary round beating Highland Park, St. Rita and Marist High Schools. In the first game, the Spartans skated by Highland Park 5-0; led by Tyler Mulier’s 2 goals and 2 points each notched by Logan Nein, Jared Epstein, Braden Syrnyk and Matt Holly. Alex Cacioppo backstopped the shutout. The second game featured a 5 point outburst by Matt Holly who netted a hat trick and 2 assists in a 9-4 victory over a tough St. Rita team. Garrett Cohen got the victory in net. In the third game, the Spartans poured in 8 goals in an 8-0 victory over Marist. Jared Epstein had 2 goals and 1 assist. Braden Syrnyk had a goal and 2 assists. Alex Cacioppo recorded his second shutout of the tournament. With their 3-0 preliminary round, the Spartans advanced to the semi-finals, setting up a game against Scholastic League rival Barrington, who also went 3-0 in their division. The game was not for the faint of heart. GBN jumped out to a 2-0 lead including a goal 7 seconds into the game by Alex Crane. Tyler Mulier scored the second goal, assisted by Logan Nein and Jack Elowe. Barrington came back to tie the game with goals late in the first period and midway through the second period, sending the game tied 2-2 after two periods. Jared Epstein scored an unassisted short-handed goal early in the third giving the Spartans a 3-2 lead. With time running out, Barrington pulled their goalie and scored with a shot along the ice from the blue line, knotting the game at 3-3. This sent the game into sudden death overtime, which featured scoreless hockey in progressive five minute periods of 5 on 5, then 4 on 4, and finally 3 on 3 play. During the overtime periods, Garrett Cohen came up with one great save after another, keeping the Spartans hopes alive. Finally in the fourth overtime, playing 3 on 3, Logan Nein blasted a slap shot by the goalie with Matt Holly screening in front to give the exhausted Spartans and fans a victory that will long be remembered. The victory set up a Championship game match-up with the Fenwick Friars, who earlier in the season handed Glenbrook North one of their few defeats of the season 2-0. Fenwick had defeated Sandburg High School in the semi-final to advance to the Championship game. The game was tightly contested with many penalties called both ways. The difference would be the Spartan power play which converted on three of their man advantages. In the first period Logan Nein converted on a beautiful passing play with assists from Alex Crane and Jake Rabin. Fenwick tied the game with a goal late in the first period. Logan Nein returned the favor in the second period, setting up Alex Crane, who connected on a power play goal, also assisted by Jake Rabin, putting the Spartans up 2-1 after 2 periods. GBN went up 3-1 in the third, on their third power play tally, with a goal by Logan Nein assisted by Jason Spector. Fenwick battled back with a late goal with 1:28 left in the game, but Alex Cacioppo shut the Friars down the rest of the way sealing the championship for the Spartans. Logan Nein, Alex Crane, Jake Rabin and Alex Cacioppo, along with two Fenwick players were named to the All-tournament team. The Thanksgiving Tournament Championship follows an equally impressive Championship win at the Prairie Ridge Invitational Tournament held two weeks earlier in Crystal Lake featuring top teams throughout the Midwest. A 2-1 win over Providence Catholic brought home the Championship trophy. Tyler Mulier and Garrett Cohen were named Most Valuable Player and Goalie respectively. The Glenbrook Spartan Junior Varsity team roster is made up of Justin Schoeneman, Michael Ferrarese, Logan Nein, Jack Elowe, Jared Epstein, Noah Ginsburg, Jonah Gould, Jake Rabin, Daniel Allenson, Gannon Peifer, Jason Spector, Braeden Syrnyk, Eric Doar, Tyler Mulier, Ari Kamensky, Alex Crane, Matthew Holly, Garrett Cohen and Alex Cacioppo. The team is coached by Rich Blakey and Chris Strauss. The JV team’s record is currently 26-3-2. 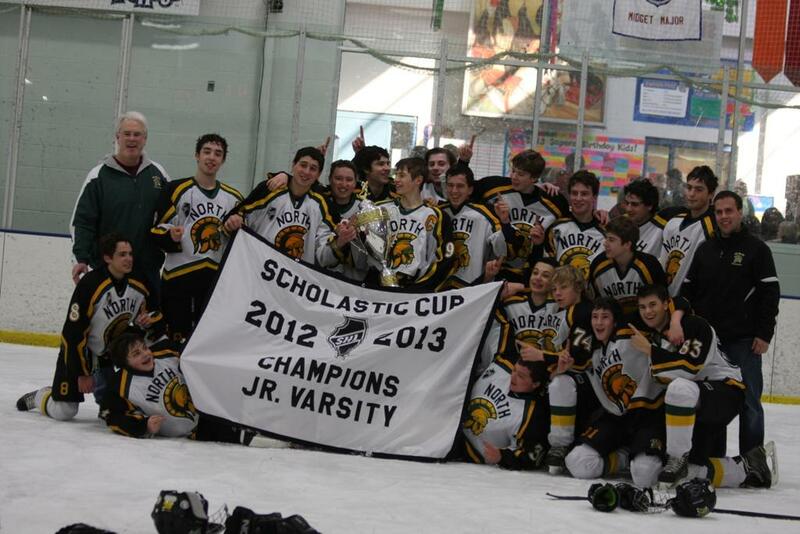 The Spartans play in the IHSHL Scholastic Division. 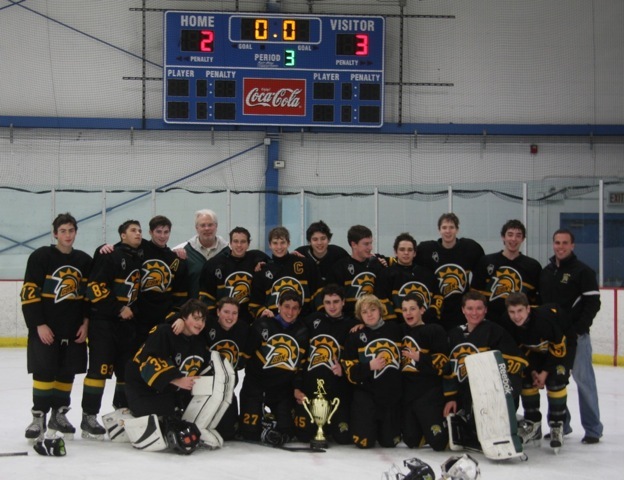 The JV Spartans swept Rockford in two games to take the SHL Championship. 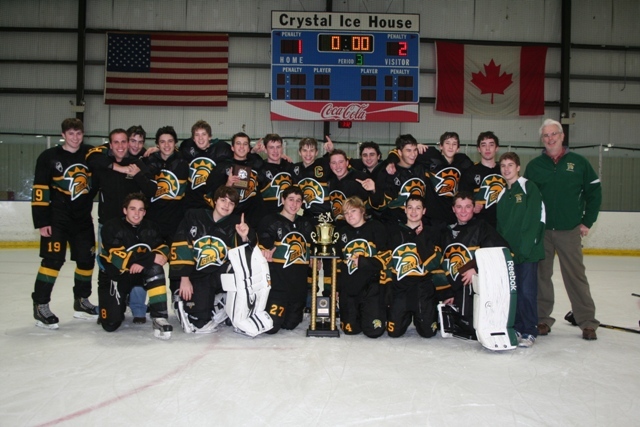 Congratulations JV for winning the Coaches' Trophy SHL regular season champion.